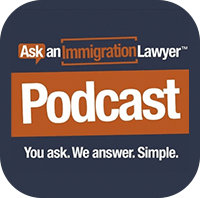 Great immigration lawyer, very professional, knowledgeable and experienced. Jacob always answered my questions, e-mails and calls; great customer service from him and everybody at his office. I highly recommend Jacob, probably the best immigration lawyer out there. At one point in my life I lost hope in getting a “green card”. Although I was a beneficiary of an approved I-140, my I-485 has a risk of being disapproved due to a possible inadmissibility situation. I search and talked to several immigration lawyers within the county to consult my case but not even one can provide me with good answers to bring light to my case. I finally accepted the fact that I might be removed from the US so I search the internet again to find a lawyer to represent me in case I will be called for removal and there I found Jacob Sapochnick. He is a very sincere and honest lawyer and he didn’t give an outright answer until he knows all the details about my case. I personally met him and discussed everything and all of a sudden the light came down from heaven and Jacob presented to me the strategies to fight for my case. He is indeed one of the most innovative immigration lawyer that I ever met. Jacob is very professional and he will guide you up to the very last step. My I-485 RFE reply was handled very well and Jacob personally hand delivered the reply to the USCIS District Office (this is something that a lawyer doesn’t normally do). After few weeks of waiting and anxiety we finally got the decision from the USCIS and my I-485 has finally been approved and my “green card” is on the way. There are no words to describe how thankful I am for having Jacob as my savior for me to be able to reach and attain my ultimate “American Dream”. Happy New Year. I hope all is well with you and your practice. I trust you know how much all of us at the Spreckels Organ Society appreciate your incredible generosity in providing legal assistance with the visas required by the international artists last year during our International Summer Organ Festival. We consider it an honor that you and your firm provided this service, and were delighted to publicize your firm in our concert materials. Just wanted to say a personal thanks for being a great lawyer and friend. My family (my Mom and Brothers) back in Canada have had peace of mind while I have been away, because they know I have someone who has remained not just honest and fair, but especially remained a super nice person, who always helps others. You have never asked anything when we talked over the phone, knowing this has been a tough year, so please accept this small token of appreciation for being you. Wish you and your family the very best for the holidays and New Year. "I had a very positive and pleasant experience with the Law Offices of Jacob J. Sapochnick when I hired the firm to assist me in applying for US Citizenship. From the moment I made first contact via e-mail and throughout the whole process, I was welcomed by a professional and friendly staff. I received straight forward answers to all of my questions and no empty promises were made. At my appointment, Mr.Sapochnick guided me step by step on what to expect during the application process, the interviews and at the Oath ceremony. I started my application in late April 2009 and I took my Citizenship Oath on August 19th, 2009. I am now a proud Citizen of the United States of America. I would like to thank Mr.Sapochnick and his wonderful and friendly staff for being efficient, professional and yet a very personable Law Firm. Thank you, for making this a very easy and wonderful experience! ". After waiting several years, I had almost given up and lost all hope in getting my green card - until I came across your website. Thanks to you – your help, advice, and personal interest in my case – ALL my expectations were met and I finally have it! I’m now enjoying a long-overdue visit with family and friends in Argentina. I believe the comments made by your other clients very well summarize and describe how professional you are as an immigration attorney. You treated me not just as another one of your cases, but as an individual person who desperately needed direction and help. Your ample knowledge of U.S. immigration law as well as your expertise was very evident from my first appointment with you. You answered all my questions in a clear way so I could understand what to expect. While waiting for the outcome, whenever I’d get nervous about my situation, you were always available to take my calls, assuring me the process was on track. Furthermore, I have no doubts that your being present at my interview with the immigration officer was what finally clinched it and made my dream finally become a reality. Jacob, the best way I can thank you and your staff is to wholeheartedly recommend you to anyone who needs a first-rate immigration attorney, since I have proof enough you are an outstanding one! I have JUST received my card and i cannot express how grateful i am to you and your team for handling this matter (I-751 Removal of Conditions) the way you did. Always ready to answer questions and relief the anxiety that related to the long convoluted process. I would not have been able to complete it without your help. That's good news on the approval of our 3 executive L1A visas. You fought a tough RFE, but we won. We are pleased to be working with you. KB is also bringing passports tomorrow again to the US Embassy in Tashkent for visa processing. We look forward to his arrival to the US. I wanted to thank again and again for obtaining my E1 Treaty Trader visa for me. The process was not easy, especially since our trade was all based on Technology. You knew the law, and was able to craft an outstanding file to be presented to Immigration. We are now ready to take the business to the next level. Goodnews. Mutyaba went for his K1 Fiance Visa interview at Nairobi on 11/24/2008. He was asked to come back on 12/5/2008, at which time they granted him the visa. He arrived to the US yesterday 12/8/2008. Thanks so much for your help and support. I will of course need your help with extra paperwork in the future such as the AOS. I will let you know. Thanks for doing such a great job, and for being so responsive. 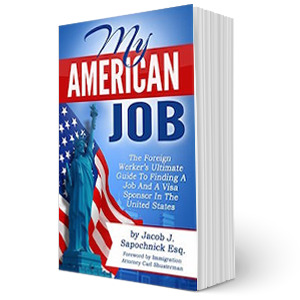 I would unreservedly recommend Jacob to anyone attempting to fulfill their personal dream to live in the USA. When I despaired of ever finding an answer and received less than positive responses from other immigration specialists, Jacob's reply was like a breath of fresh air, suggesting realistically achievable courses of action that identified with my personal circumstances and abilities. From the first time I met him, I sensed that he cared personally about my case. He was able to very quickly identify and explain in non legal terms my best way forward and then, when my personal circumstances later changed, provide an alternative route to achieve my dreams. My experiences with Jacob have always been positive. He inspired the confidence that my dream could be fulfilled and then went about the process with skill, professionalism and, importantly, a sense of personal involvement. Anyone who has ever tried to understand immigration regulations will appreciate his ability to explain options and requirements in plain language! I felt he was there with me every step of the way, explaining and guiding me through the paperwork with that very "human" touch he undoubtedly possesses. Quite simply, he became more than just an immigration attorney, he became a trusted friend and wise counsel. He helped me to achieve my dream and for that I can never thank him enough. We now truly believe that you can walk on water!!! I am amazed how you were able to get all our H3 petitions approved, despite the nasty Request for Evidence. We all so grateful for your efforts and your staff’s professional conduct in processing our workers’ files. We look forward to continue working with you on all our hospitality visa matters. Thank you for assisting me with my senior project on immigration. I contacted professors from well known universities and my local state representatives and they either could not help me or never responded to my request. My teacher found your contact information on your web site and you were able to answer my questions concerning immigration within 60 minutes. I would recommend you to anyone who needs important immigration information in a timely matter. Thank you for all your help in assisting with my citizenship. I took the oath this morning and all went as planned. Jibola: Thanks for showing care and expediting the paper work. I am truly pleased with my decision to hire your firm and feel comfortable recommending you to any friend or associate. Thank you for such a prompt and thoughtful reply (to our Racial Profiling in Immigration Research Paper). I have printed out your response and made copies for my entire class. We will be analyzing your response tomorrow as students draft their immigration portion of their research papers. We are grateful for your participation as an expert in the area of immigration. My students are motivated by knowing their questions have been answered by an informed community member. We appreciate you and all of your hard work. Thank you so much for your help. You made the whole process for my husband and I really smooth and easy. It has been a genuine pleasure to collaborate with you. All your staff, particularly Geraldine and Jibola, has been extremely nice and dedicated. Thank you again. Your help has been invaluable! Thank you so much for everything you and your staff did during our immigration process. We felt so confident and worry free. Thanks to all your guidance and support. Every encounter with you and Jibola was so pleasant and we really had a great experience with the whole process. We are so happy and couldn't be without you. Thank you for all your hard work, we really appreciate it. Thank you so much for all your help. I read your email before Officer L's this evening. We are praising God! We can now proceed to get J's Social Security card etc. We hope to go on a mission trip in December so I will need to work on passports immediately. Your help and encouragement (in this adoption case) has been wonderful Jacob. We can't thank you enough. 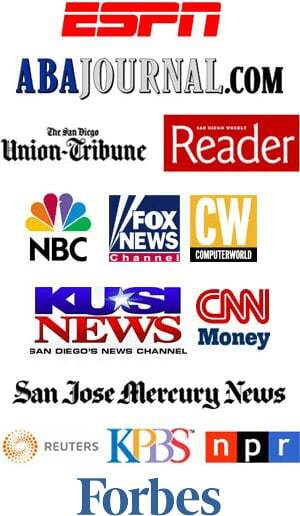 We feel like it made all the difference for our interview to have you with us. You made yourself so accessible and listened to my frustrations repeatedly. You will have our highest recommendation for anyone needing legal immigration services. After 6 months of sleepless nights, I finally can sleep tight in bed with my TN-1 working visa. I am a Canadian, obtaining a Japanese Studies degree with minor in Business Studies. I had been dealing with many consultants/ lawyers who are specialized in immigrants but nobody could give me a definite answer to the questions that I had except Jacob. Throughout the whole process, Jacob was willing to help every seconds, giving me professional answers and point of views. He not only gave me confidence but also prepared all the right documents that I needed so I don't need to worry about anything. He even went through all the questions that I might be asked at the boarder and also sent me a kind e-mail that morning to make sure everything is fine. So, here I am working happily in the states, these all thanks to Jacob !!! Thanks for helping me with my marriage-based immigration case. You were very accessible - taking my calls, returning my messages and emails promptly. You answered all my questions. I was most impressed and relieved that you attended the immigration interview with me and my wife. You made the whole process streamline and simple. You really know your stuff, and you're a nice, friendly guy as well. Jacob: Last week US Immigration granted my TN-1 status at Pearson Airport in Toronto. I wanted you to know how much I appreciate the advice you provided, the assistance in drafting and assembling appropriate documents and your coaching. All of this was critical to me having been turned away twice in the last eight months for insufficient documentation and in spite of my own successful record of application almost every year since 1988. The officer at the border, looking over my package, said, "You can tell pretty quickly from the documents who is a real management consultant and who isn't." I am so pleased with your work on my behalf that I am recommending your services by copy of this email to H.S., the President of the Canadian Association of Management Consultants, who represents the two plus thousand Certified Management Consultants in Canada. Working with Jacob on my immigration process was one of the best things that ever happened to me. Not only is his level of expertise second to none, but I also found Jacob to be a lawyer who makes you feel you are his only client: He'll spare no time explaining you the process up to the finest detail and answer all of your questions with patience. He'll frequently follow up with you and update you with the status and progress of your case. He'll clearly guide you and give you the right recommendations everytime. My first H1-B visa was approved within less than a month, my H1-B transfer to a second job was approved in 6 days, and now I am already at the final stage of my greencard, as I have just been certified by the Department of Labor under the new "PERM" system in a record time of 5 weeks!!! If you want to make your immigration a good experience and done right - I don't see why would you go anywhere else! Thanks Jacob! I don't know what we would have done without Jacob. We had been a victim of a fraudulent attorney who took all of our money and only left us with one week left to turn in all our documentation to Immigration. We felt that all hope was lost. Then we found Jacob Sapochnick. Jacob turned everything around for us in the span of a week! He was and is extremely patient, professional, and always made us feel comfortable with the entire immigration process. Now, my husband is working, has his California drivers license and is a Permanent resident. We couldn't have been happier with Jacob and the work that he did for us, again, I really don't know what we would have done without him. I was challenged with getting my own visa for travel into the USA from Canada and felt overwhelmed with the paperwork I had to do alone, during a very busy period professionally; I sought assistance via the web and came across Jacob Sapochnick's services; I was understandably very apprehensive at first but Jacob quickly turned me around: he gave me lots of coaching; I asked for clarification often and he never hesitated to answer quickly and with clarity. He provided all the necessary form letters and assistance to get my B-1 Visa which I did receive, and my travel to the US became simple and straight forward. I would recommend him without hesitation." Our previous experience with an immigration attorney was all but positive when we decided to turn our case to Jacob Sapochnick. Our experience with Jacob turned out to be so positive that we offered to write these lines as a gratitude to him for a successful result of our application. Jacob's passion for immigration issue and professional training makes him an expert in his field. What sets him apart is a personal immigration background that makes him understand emotional hardships his clients experience while going through the maze of legal process and challenges of the social adjustment in a new environment. That human aspect in approaching the case was critical to us as well as Jacob's knowledge and experience. No avenue was left unexplored. His knowledge was comforting, his calm personality reassuring. Jacob was with us in each step of the process. He was always there for us to offer advice or answer any questions we may had. I would highly recommend Jacob's service to anyone who is looking for help in resolving any immigration related issue. Jacob, as you now know I was successful in my application for a TN1 Visa as a Management Consultant and granted admission to the United States. I have started work with my new American employer and I'm settling in. I wanted to write to you in thanks for all of the work you did in preparing my documents and in preparing me for this very significant step I have taken in my career. I never imagined just how difficult, frustrating and time consuming it could be when dealing with the Government's bureaucratic system. Now that I have done it successfully, I have a few things to say that I feel are very important for anyone who are considering this type of visa. Let me start by saying that I applied for this Management Consultant, TN1 visa first in January of 2006 before I hired the services of Jacob Sapochnick. I did however use the services of a law firm claiming to be VISA professionals. Well, I paid the money, followed their rather weak direction and I was promptly rejected at the border crossing. I was detained at the border crossing for 2 hours answering questions and being fingerprinted only to be denied the visa, I was not even offered the opportunity to withdraw my application. I chose to ask Jacob for his full legal services in preparing me and my paper work for a second attempt. I can honestly say that Jacob is very knowledgeable on the subject of TN visas and the actual border crossing interview process. He really prepared me mentally for that experience and that is really half the battle. I would not hesitate to recommend his services and his law firm to anyone. I could not have made a better choice when it came to an immigration lawyer. Law Offices of Jacob J. Sapochnick did an incredible job representing me. I've been informed of everything that is going on with my case during the whole procedure. Every time I've had a question I was able to contact Mr. Sapochnick's office and received a prompt response. Dealing with legal matter is always a scary thing, the fact that I had a competent, experienced and prepared lawyer made the whole experience go smoothly. As someone who has been dealing with immigration legal matters for some years now and dealing with lawyers for the majority of that time, I can recommend with full confidence the Law Offices of Jacob J. Sapochnick. Attorney Jacob Sapochnick provided for me and my wife a very expedite and very professional service, he is personal, responsive, efficient and pleasant to deal with.